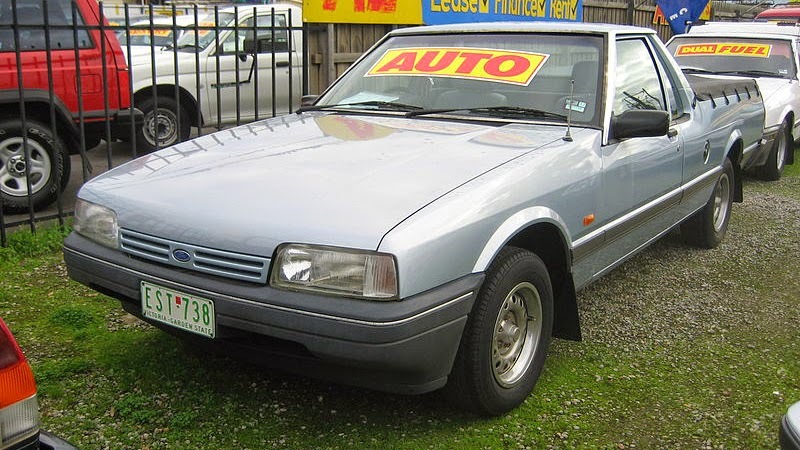 The Ford XF Falcon is a car that was produced by the Ford Motor Company of Australia between 1984 and 1993. 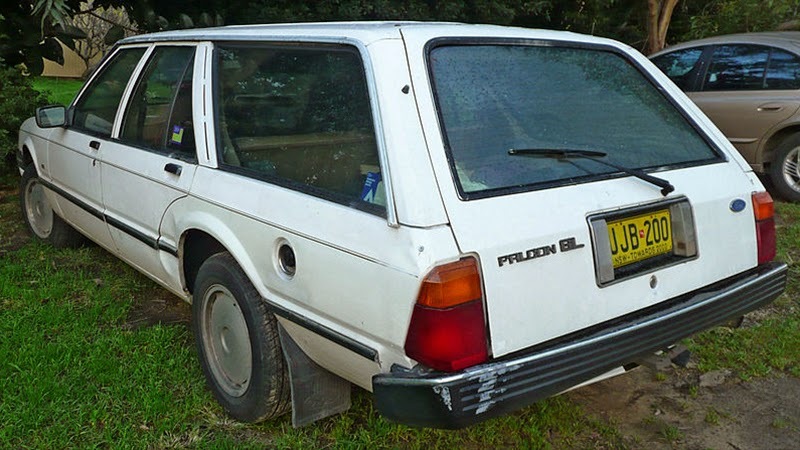 The XF sedan and wagon sold between October 1984 and February 1988, with the utility and panel vans running through to March 1993. The ride and handling were described as competent, but the non-powered steering was heavy at low speeds with an overly strong castor action after performing a manoeuvre such as a U-turn. Engines were modified to run on unleaded fuel from January 1986. The XF series remains Ford's best-selling Falcon model to date with 278,101 built. XF models were available with a choice of 3.3 or 4.1 litre engine six-cylinder engines. The 4.1 litre unit was standard on Fairmont models. Transmissions available were four- or five-speed manual floor shift, or the much more popular three-speed automatic with the selector lever located either on the floor or the column in cars that seat six. In three-seat utilities and vans, the three-speed manual on the column was standard. 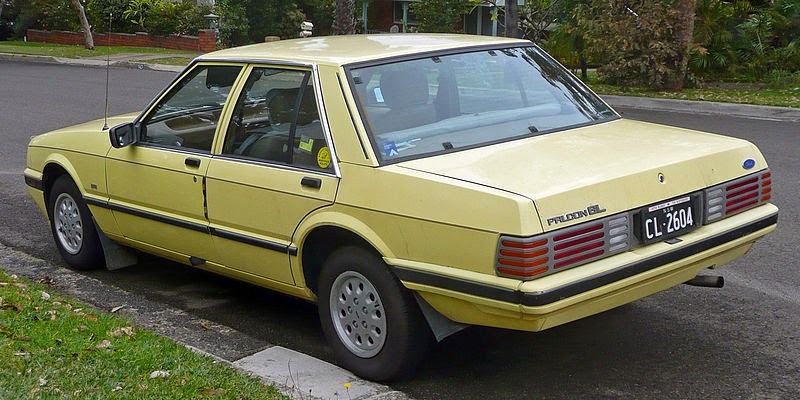 Fairmont Ghia (sedan and wagon): the luxury Ghia featured a 4.1 litre fuel injected or carburettor inline six-cylinder engine, and a trip computer which calculated fuel consumption, driving times, among other things. The drive line consisted of a BW40 three-speed auto with either a 2.77 or 2.92 LSD and four-wheel disc brakes. A wagon variant of the Ghia was made available from October 1986. An optional "S" pack was available on some models, featuring body stripes, fog lamps, styled wheels, Falcon "S" badging, steering rack adjustment, driver's lumbar support, driver's seat tilt and footrest and sports instrument cluster. 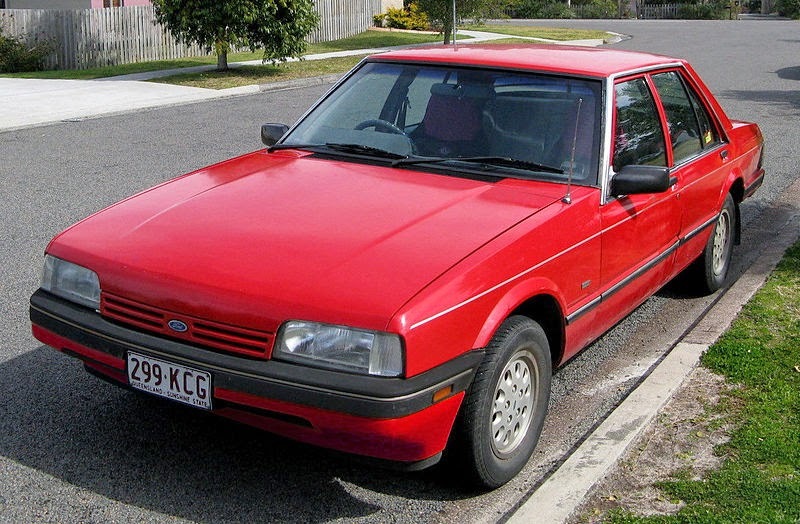 Ford produced some limited edition value-packaged vehicles during the XF-series, including the 25th Anniversary Edition Falcon sedan of 1985 and the six-seater GL-based Falcon Family Edition sedan and wagon of 1986. These limited edition vehicles featured unique versions of two-tone "style-tone" paintwork. 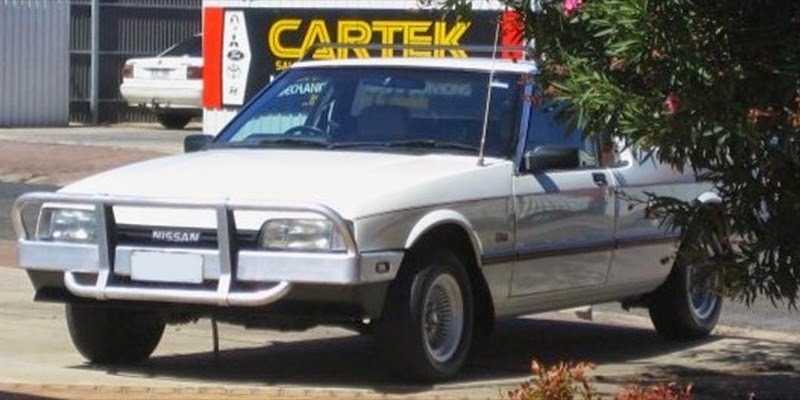 The Nissan Ute was a badge engineered version of the XF Falcon utility sold by Nissan in Australia from August 1988 to 1991. Nissan Utes were sold as a result of a model-sharing scheme known as the Button car plan. In an attempt to rationalise the Australian automotive industry, the Button plan induced car manufacturers to share core platforms. 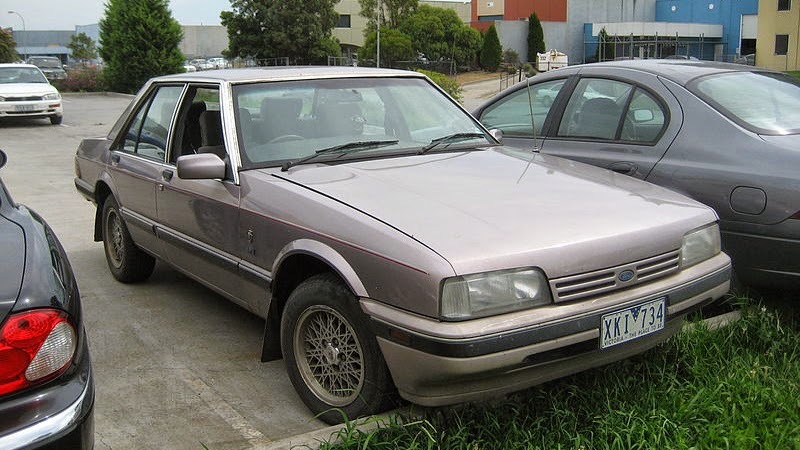 For this particular vehicle, XF series Ford utility vehicles were rebadged as "Nissan". Nissan did not offer the various equipment levels of the Ford donor vehicle, instead offering only two basic trims (DX and ST) without a performance-oriented option such as the Falcon XR6 or "S" pack. The plan was generally considered a "disaster" by the industry as the car buying public steered clear of the badge engineered vehicles. 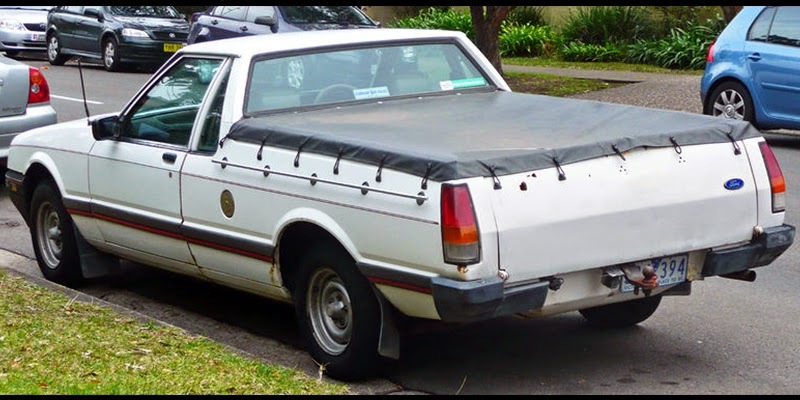 Furthermore, spare parts could often only be purchased from the original vehicle maker—as was the case with the Nissan Ute. Due to the lack of a V8 Engine, the XF Falcon was not suitable for involvement in the Australian Touring Car Championship, with most Ford supporting drivers and/or teams electing to race the Ford Mustang or Ford Sierra RS Cosworth under the new Group A regulations. The XF Falcon however was raced in the AUSCAR series, with Jim Richards winning the first AUSCAR series in a XF Falcon. XF AUSCAR's were fitted with 302 Cleveland V8's, and had an aero kit designed by Ford Australia designer Wayne Draper. Last updated on 26 August 2014 at 05:24.